Welcome to the human face of property management! First and foremost, our team at Onsite focuses on building lasting relationships with clients, and bringing a personal touch to our professional field. We work to treat your properties just like they are our own. No matter the size and style of your association, we can help you manage it! 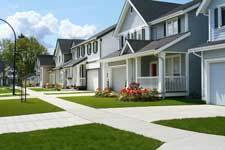 Whether you are a new developer, existing homeowner’s association or commercial association seeking professional guidance and services from an experienced Northern Colorado Fort Collins property management company can be a fast and effective way to get the job done. After several years of research for the right technology, we acquired software that sets us apart from everyone else and allows us to be better than the rest. We build relationships between boards, homeowners, and vendors to create a positive environment within the community. Take a look at the exciting services we provide for our associations below! Are you a self-managed association that likes to take care of the community yourself rather than having a management company involved? Are you looking to have your books managed by a licensed and professional management company that has the experience in association accounting and your best interest in mind? If you’ve answered yes to the above, this is the solution for you! Submit a request for a free quote so that you can get back to enjoying the great things in life! Take a look at the exciting services we can offer to you! Copyright 2019. Onsite Property Management Services. All Rights Reserved.